Water is a valuable and vital resource for our daily needs. Science is increasing our awareness of the negative effects humans have on natural water sources, which lead to water pollution. Water pollution is the contamination of water by waste, chemicals, or microorganisms at a point that it becomes harmful to human and animal health and the environment at large. Pollution of waterways in the world is now growing and alarming: Fish are poisoned with PCBs—a very toxic chemical substance contained in paints, plastics, and inks—and adverse effects are also noted for animals and endangered species such as dolphins. Humans need daily access to clean water for drinking. We also need to support and maintain clean water in the natural environment to support plant and animal life since these comprise our sources of food. It's obvious we must learn ways of improving the health of our waterways. Many organizations and individual conservationists are working to support and improve waterway health. This guide provides you with 18 ways you can help find solutions to this critical problem. 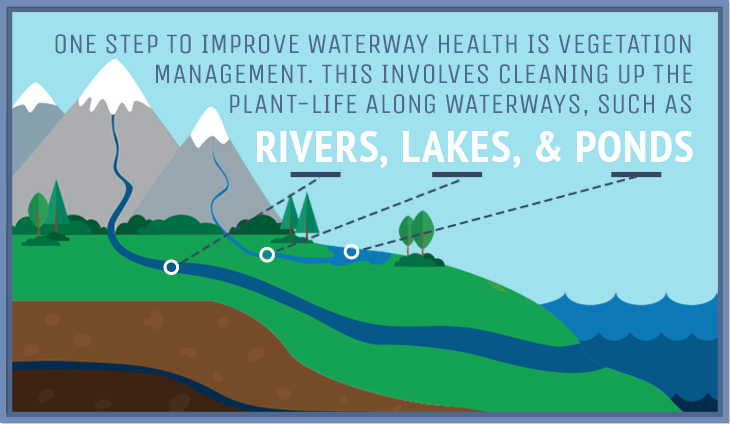 One step to improve waterway health is vegetation management. This involves cleaning up the plant-life along waterways, such as rivers, lakes, and ponds. This includes removing harmful plants that have a negative effect on the soil and plant life. It also incorporates planting more healthy plants in the area. The right vegetation like aquatic and riparian vegetation improves waterway health and wildlife that may use it for shelter or food. In today’s world, hazards to our waterways include chemicals such as metals and solvents from industrial work, pesticides, and oil spills. Some chemicals, such as lawn fertilizers and pesticides, are helpful in their primary application but can be dangerous for waterway health. This is most true when storm-water washes over the ground and flows toward waterways. 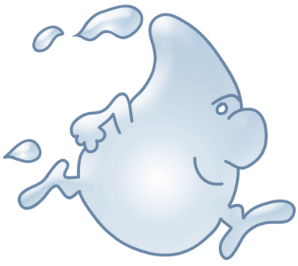 The movement of water carries with it any pollutants that were initially on the ground. These chemicals disrupt the health of the waterway system, disturbing the purity of the water as well as plant and animal life. We can protect waterway health by managing the flow of stormwater. Having proper water drainage systems helps to route storm water along the proper paths. This is important at the residential level (adding gutters, sloping the yard so water flows toward storm drains) and at city-wide levels. Businesses must be careful with their construction and include storm-water management in their design (such as places that produce chemicals). City councils must also do their part in planning for stormwater management. This can be done by reviewing their disposal mechanisms. For better results, cities can funnel storm water toward treatment plants that can remove the pollutants and prepare it for re-use in community green spaces. If you live close to the sea, create some time for cleaning up the beaches in your area and, if you live near a river or a lake, join a local organization committed to cleaning and preserving the environment. Some cities organize cleaning days and use volunteers to clean local waterways. If there is no organization for environmental conservation in your area, create one yourself and recruit friends or colleagues to take on this important task. Organize an annual awareness day in your area and advertise by placing posters in your area and distributing flyers throughout the community. Since water is an indispensable resource for life, it is our duty to protect and conserve it. A reasonable use of water can help reduce the growing demand that stresses our resources. Simply limit the evacuation of domestic water and reduce water withdrawals. A few examples include taking shorter showers, turning off the faucet while you brush your teeth, running clothes washers and dishwashers only when full, and using a rain barrel to collect water for your plants. Conserving water lessens the volume moving through your municipal water treatment plants and helps to support waterway health by leaving more available in the natural ecosystem. Conserving water also reduces normal wear and tear on the main facilities, such as sewage treatment and water treatment plants, and distribution systems that provide drinking water to the population. Raise awareness about the effects of water pollution in your area by speaking to your school friends or office colleagues about the need for improving the health of our waterways. To achieve effective results, discuss with them issues related to the cleanliness of the water in your area. Join national and regional movements of environmental protection and consult websites for information on the laws in your country or region. Additionally, when you vote, choose a candidate who pays attention to protecting the environment and the planet. This governmental agency regulates land development and actions that can affect waterways. 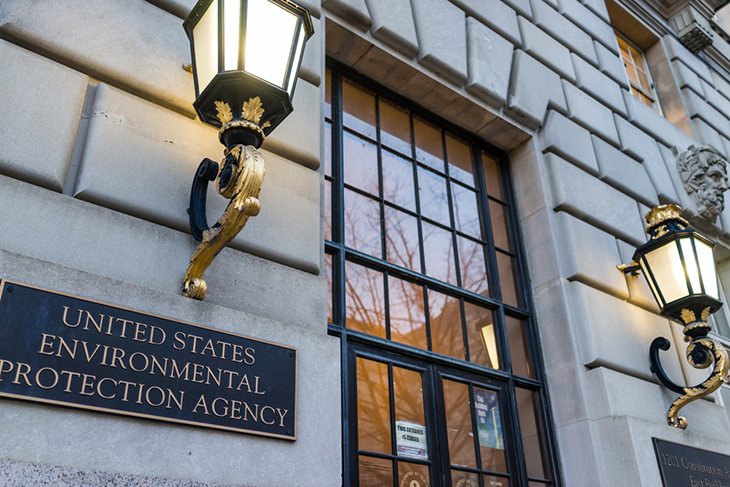 The EPA works to ensure businesses follow certain conditions when they plan new developments and construction projects. For example, this agency helps dictate some of the ways construction plans must deal with stormwater management. Improvements in waterway health do not happen immediately. It can take time for positive changes to have the intended effect. For example, planting new vegetation along a riverbank is a great start, but to see the full benefit, the results will not be instantaneous. This is because the plants must develop and thrive, which takes time. The positive effects can be measured but, given the changes are slow, the data must be collected over a long period to be accurate. A rain garden is one project that an individual household or business can use to support waterway health. A rain garden allows rainwater to run down into its depression and be absorbed. This supports rainwater absorption, which reduces its travel toward larger waterways. This can cut down on runoff pollution and make water more available to local vegetation. If you choose to have a garden in your yard, consider incorporating a rain garden. As much as possible, use native or local plants because they will work best in your soil and water conditions. Some wildflowers, shrubs, and trees are especially adept at absorbing excess water. This will support not only your nearby waterway health but also your local ecosystem. Excess dirt and mud that runs into waterways can be harmful to them. Soil erosion caused by human action disrupts the natural ecosystem. Reducing soil erosion by taking steps in your yard or garden is effective in retaining the soil cover. This includes deliberate landscaping that includes plants and trees to hold the soil firmly. Additionally, including items like mulch will prevent rainwater from carrying dirt and mud toward waterways. 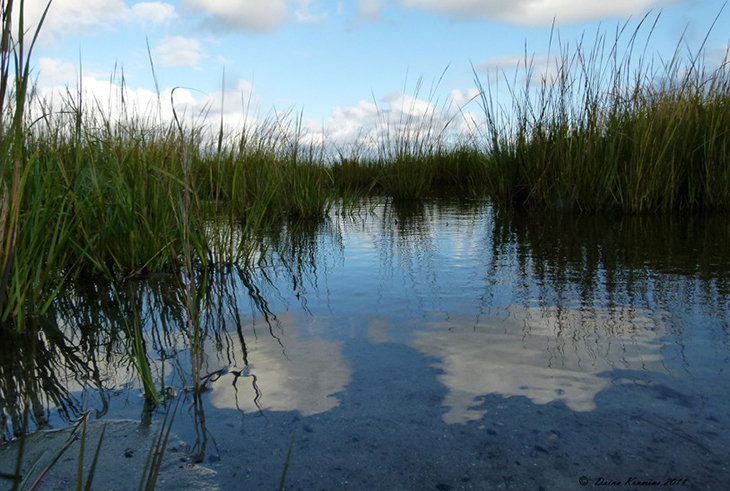 Constructing wetland areas is another effective method of improving waterway health. 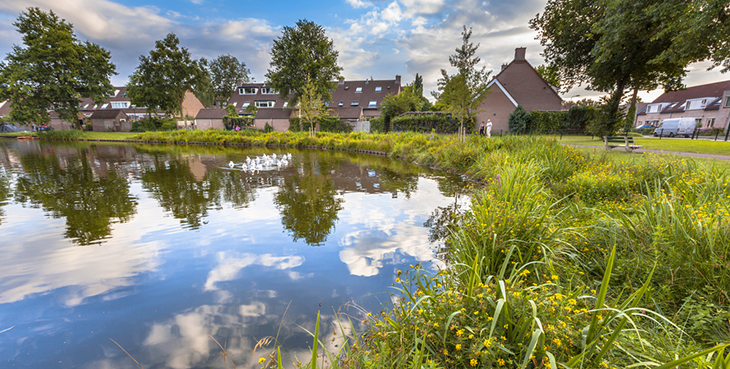 Large areas, such as cities or towns that are concerned about waterway health, can construct wetlands. These wetland areas can emulate the natural environment and use plants to filter good nutrients from stormwater. Tossing trash on the ground does not just look bad, it negatively affects the environment. Trash can also get carried by rainwater into waterways. Litter can be damaging to the water and to wildlife. Non-biodegradable items and toxic items cause harm to the natural ecosystem since animals can ingest them or get caught in the litter. We can prevent these sad situations by putting our trash into proper receptacles so it goes where it should, not to our waterways. There small, yet hugely impactful, initiatives communities all over the United States are taking to make a difference in the waterways. Charleston, South Carolina, for example, is encouraging restaurants to join the ‘Strawless Summer’ program; banning the use of plastic straws for their customers, ultimately hoping to reduce the numbers that end up in the ocean affecting local sea life. Encourage everyone in your community to recycle! Many items can be recycled, including metals, plastics, papers, and glass. Most of the waste can then be made into new products, preventing them from ending up in our waterways and conserving the raw materials it would have taken to make them. It also helps protect the environment by reducing the amount of waste being added into landfills. One way to improve waterway health is through the installation of litter traps. These devices can be placed at strategic locations to collect and hold any floating litter. Litter traps include a variety of tools, such as storm drain covers and even larger devices that can span an entire stream. 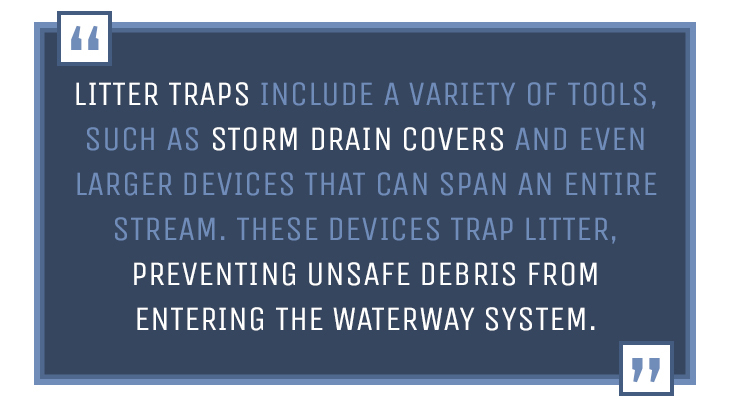 These devices trap litter, preventing unsafe debris from entering the waterway system. The debris can be occasionally collected and relocated for recycling or disposal. This is a sound investment for cities because they operate without daily maintenance and may reduce other costs associated with restoring waterway health. Cigarette butts thrown onto the ground can be carried by water down to waterways. This rubbish is unsightly and unhealthy for the waterway ecosystem. Cigarette butts are especially harmful because they contain components that can release chemicals that may be harmful to plants and animals. Support waterway health by using ashtrays to dispose of cigarette butts properly. If you own a business, provide ashtrays outside of your doorway so your customers don’t throw their butts on the ground. We use a lot of chemicals in and around our homes and businesses. Many times, if you are cleaning your house regularly, you can use gentle options. You can also look for chemicals that are manufactured and marketed as being safer for the environment. As a bonus, they are also safer for you, your children, and your pets. 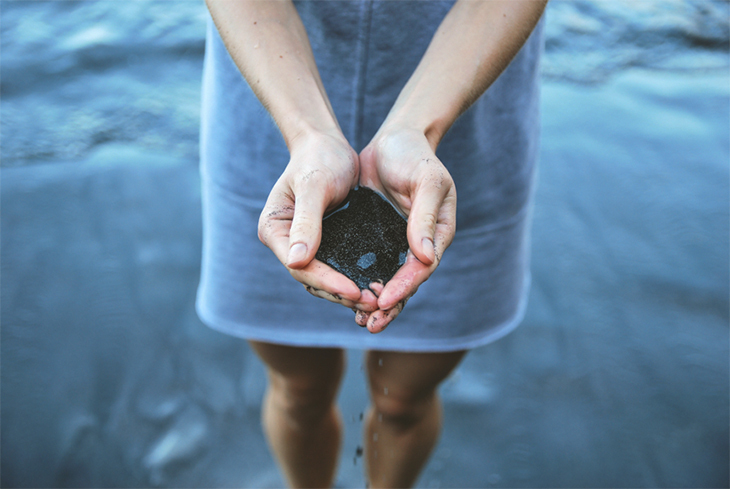 Another way to support waterway health is by reducing your use of harsh chemicals because, whatever you use, some components will end up in our waterways. Additionally, when finished with other household items, like paint thinner and car oil, you may be tempted to toss excess down the drain. If you are working outdoors, you might even be tempted to dump this down your nearby storm drain. Never dump excess chemicals down household/business drains, or storm drains as this action will have a negative effect on your nearby waterways. Instead, research how to properly dispose of them. 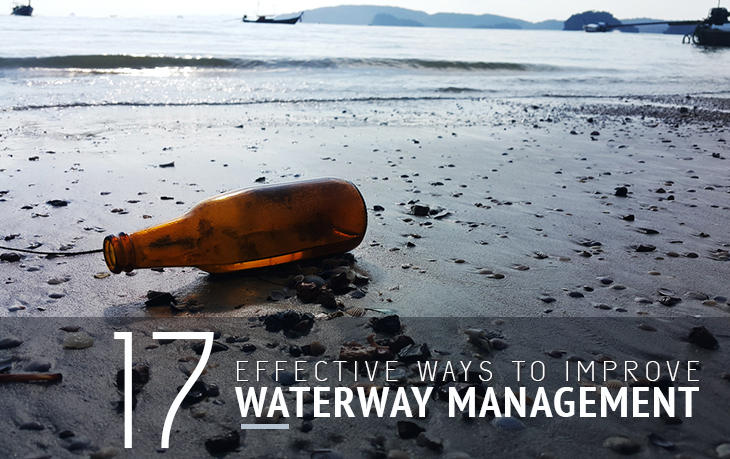 Most municipalities will have a special place you can drop them off, where trained professionals will ensure the excess is taken care of, without having it end up in waterways. When we are finished with medications or find that they have expired, we may think it is a wise idea to flush those medications or toss them down the drain. We might think this somehow helps the environment. Unfortunately, that is incorrect. Putting medications down the toilet or drain is very harmful to waterway health. These medications break down into unsafe chemicals that disperse throughout the water. They can be harmful to plants and wildlife. Scientists have even found that fish and aquatic animals are being seriously affected by medications in waterways. Properly dispose of your unused medications. Some cities even have drop-off locations that will take care of the disposal for you. Individuals and businesses can support waterway health by installing catchment systems, also called gray-water systems, that will take in and hold used water from sinks and showers. Gray-water can be recirculated and used in other ways around the house. For example, sink water can be reused in the toilet. This reduces how much water you use in your home overall. It also reduces the amount of soap and other chemicals that may be carried toward waterways. If you care about the environment, waterway health should always be on your mind. There are many ways you can support waterway health in your daily life; conserving water and being respectful of hazardous materials are simple ways to help. As you think about waterway health, you might also be wondering about the safety of the tap water in your home, which you use for cooking, drinking, and cleaning. In the U.S., every city is mandated to provide safe drinking water to its citizens, but there is always more we can do as individuals to protect not just the environment, but ourselves. Ensure the water you have access to is safe for you and your family. Use filtration systems to ensure unsafe components are removed from the water entering your home before you use it.